We are one of India's leading travel service providers of South India Heritage Tour, specialized in providing customized travel services to tourists visiting the Indian Sub-Continent. Explore the cultural heritage of South India with our well designed tour package. Our tour packages includes South India Heritage tour, India Heritage tour, Heritage tour of South India. AM: Drive to Mamallapuram. En route visit Sculptor's village at Cholamandalam. AM: After early breakfat visit to the Matri Mandir -Hall for Meditation and Aurobindo Ashram. After early breakfast check out and drive to Srirangam to visit Sri Ranganathaswamy Temple, which has the tallest Gopuram in the world for a typical South Indian type of temple architecture. Later in the evening drive to the Trichy railway station to board the train for Mysore at 20:50 hrs. AM: After breakfast check out of hotel and visit the Magnificent Mysore Maharaja's palace. After breakfast check out and transfer to airport to board flight for Chennai. 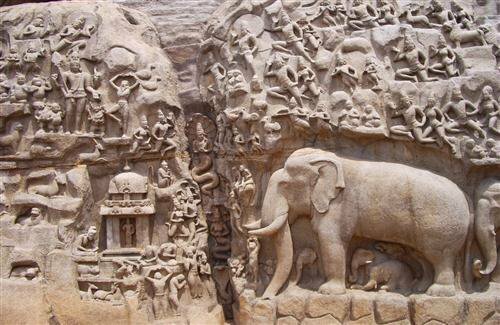 Looking for “South India Heritage Tour”?